Ugandan born Jenifa Mayanja has been deeply entrenched in the underground deep house music scene for more than 25 years since the early 90’s staking her claim in New York. Relocating to the U.S in her teens and living in the midwestern U.S shaped her resilience and determination to follow her lifelong dream of being a working musician. 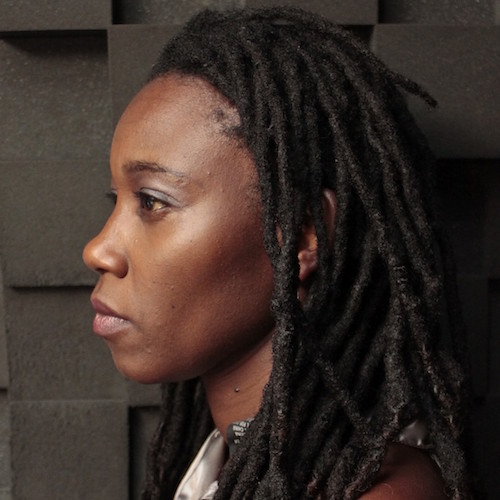 She relocated in the early 90s to New York at the boom of the house music era and quickly established around herself in the local East Village scene as a fearless, innovative and skilled selector a tough sell in those times as a woman. Her experience in the music business was honed through working at the famous East Village record shop Dancetracks as a buyer, DJ and eventually as an assistant to the record label Spiritual Life owned by Joe Claussell. As a DJ her roots and style are associated with the New York underground and she has been a staunch ambassador for “house music culture and preservation”. As a musician and producer she is best known for her naturalistic fusion of dance music and world music concepts through her record label Bumako Recordings on which as the primary artist she has released on her own three albums, numerous 12″ singles and overseen the development of many new talents on the label. She is also the co-founder of Sound Warrior Records a record label she started to uniquely showcase and create a platform for other women making music. After almost 25 years in the business Jenifa is still an in demand DJ playing in venues around the world, including a recent tour of South America. As a producer/vocalist she brings an original style that has a devoted fanbase that follows religiously each release which to date is past 25 releases on a mix of vinyl, cd and digital.